• Roman Number Time Mark, Easy Reading. • Stainless Steel Buckle: You can adjust the length to fit around your wrist. • Daily Use Water Resistant, Suitable for daily use, can withstand splash/rain. NOT suitable for diving, swimming, snorkeling, water-related work. 1. 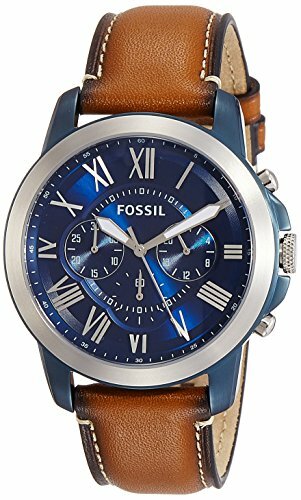 High quality automatic mechanical movement lets you wear the watch anytime. 4. 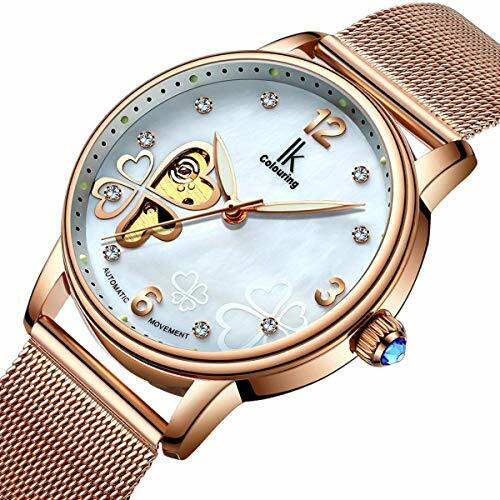 Skeleton dial design reveals your fashionable point of view. 5. 3ATM water resistance suits your daily need. Waterproof watch: Water resistant to 30 m (99 ft): In general, withstands splashes or brief immersion in water, but not suitable for swimming. Warranty Service: 30 days money back guarantee for any reason, 12 Month warranty for quality related issues. Hollow Roman Numerals Dial: Noble and luxurious appearance, business man’s choice. 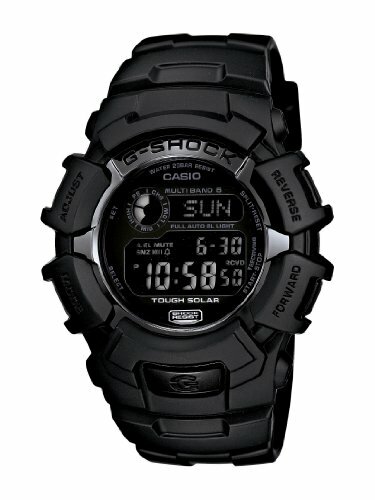 30-meter water resistant, Scratch Resistant and Waterproof. 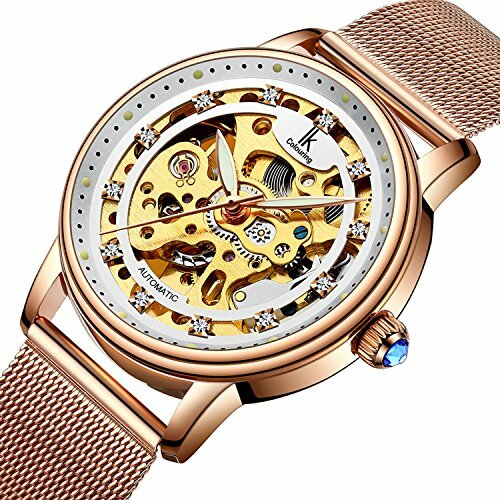 Fashion mechanical skeleton watch let you can see the inter mechanism including gears turning and which is very cool. 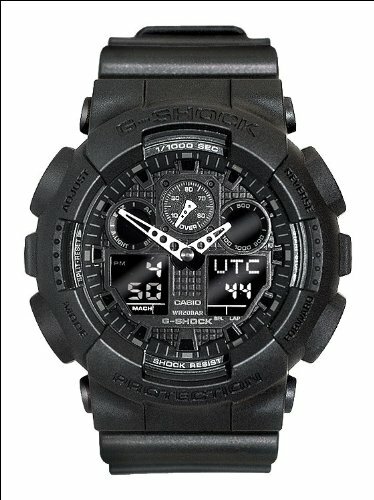 Black stainless steel band is very solid, good enough to hold the dial intact in your hand. 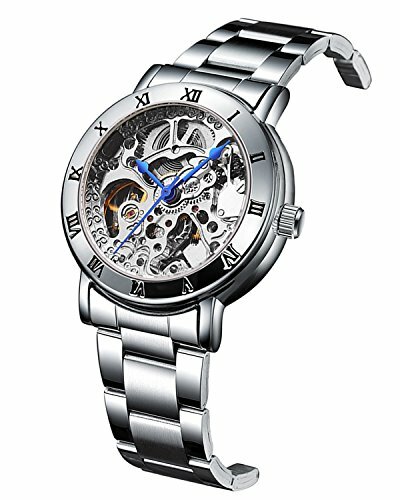 How to use mechanical watch? – 1. Read the operating instructions before using the product. – 2. When you first wear it, please wind the watch by turning the button on the side of the watch, until it is full（15-18 hand）. – 3. By taking the button out slightly, you can adjust the time, then push back the button. 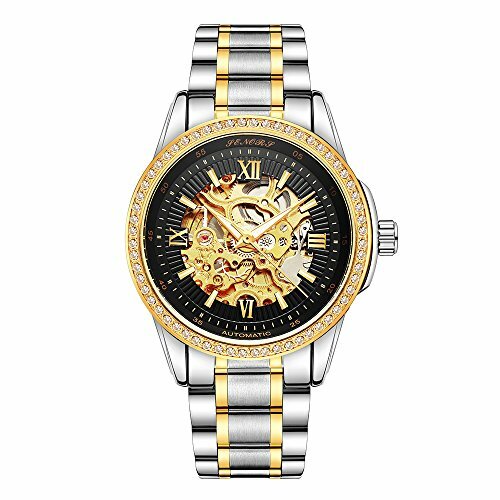 【LUNINOUS WATCH, EASY TO READ TIME,EVEN IN THE DARK】 Fashion design men’s mechanical watch, black case with clear silver lines and silver hands, let you read the time easy; The hands will grow when in the dark, which let you can read the time even in dark. 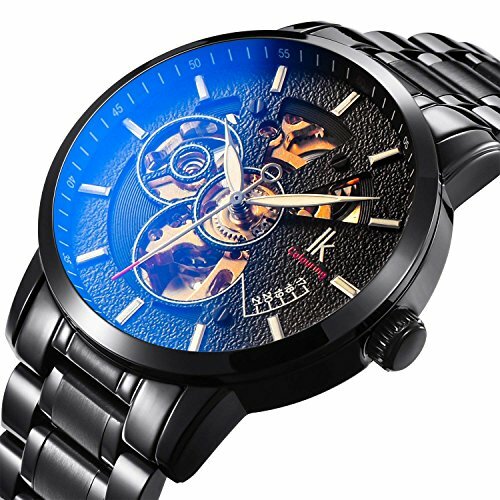 【FASHION SKELETON MECHANICAL WATCH WITH ALLOCHROIC GALSS】Hollow Engraving black Case, Gears visible inside look cool, The internal mechanism can be seen including gears turning. It is gold colored and looks very expensive. The glass looks blue when the light hits it at different angles but actually, it is not blue color. 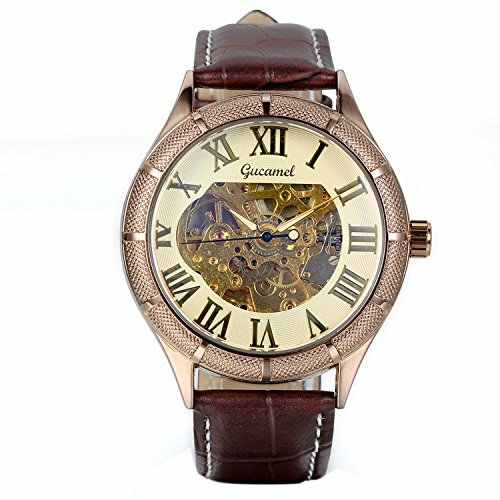 【NICE GIFT,BEST ACCESSORIES】Stylish mechanical germen watch, it fits good and looks fantastic, elegant holiday gift sure to be given some compliments by business colleagues and clients, friend. Also, it is nice gift for your friends and family as a Christmas gift.